Have you seen the wine glasses turned into pumpkin candle holders? I have and I’ve been wanting to give them a try. I finally did it, and just in time for our Thanksgiving table! 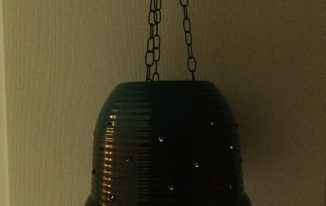 They are really easy and inexpensive to make. 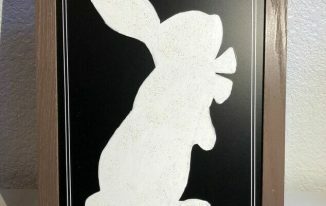 I’ll be using Dixie Belle Paint to do this project, I’ve become a big fan! A little goes a long way and one coat usually does the trick! 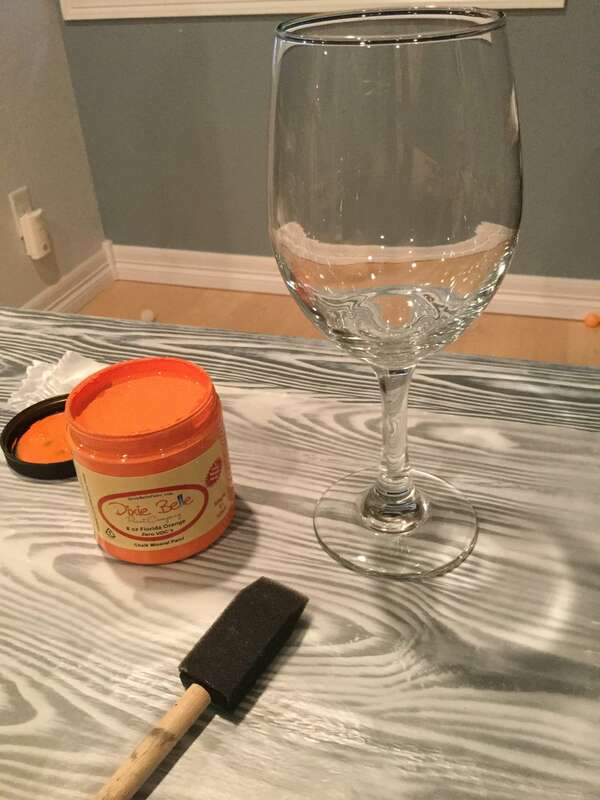 Using a sponge brush, paint your Dixie Belle Florida Orange onto the bell portion of the wine glass and let dry completely – it won’t take long. 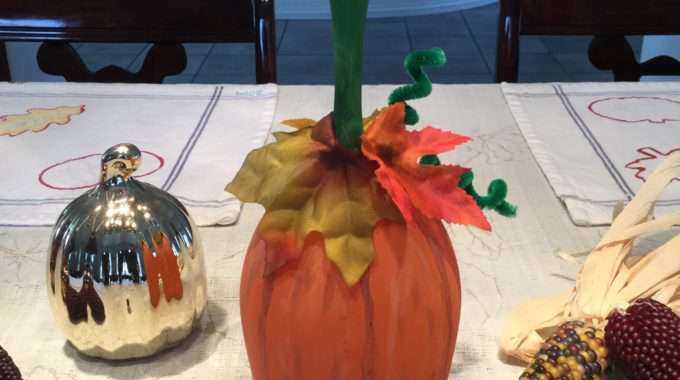 Use the Van Dyke Brown Glaze to create the curves of the pumpkin, and optional add some texture to your pumpkin shape. After painting on, blot with a damp towel. Mix some Daisy Yellow with water to create a yellow wash. Paint on the yellow as desired and blot with a damp cloth. Paint Evergreen onto the stem of the wine glass for the stem. Let dry completely. Once the paint is dry, tie some twine or use a pipe cleaner for the vines. Hot glue on some leaves. Add a candle on top and you are ready to put them on your table! Thanks Linda. 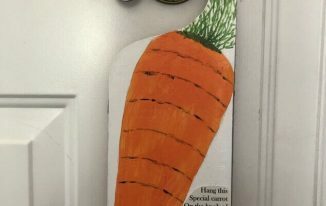 They were fun to make, and I bet you can find some inexpensive ones at thrift stores or for sure the Dollar Tree 🙂 Please send me pictures, I’d love to see what you all make. How cute! These are so perfect for Thanksgiving! These are great! And when in doubt, you can always turn one over and have a drink ;)! Thank you Carrie, and Happy Thanksgiving to you!